Before we told the story, I explained what it meant to waver with a flannel-graph illustration of a bird that couldn't decide which branch to land on. You can watch it in the video below. I also had a sign under each branch, one said Baal and one said the LORD (signs are missing in the video). wavering between 2 from Joan Eppehimer on Vimeo. I turned clip-art into visuals to tell the actual story. These won't work with a large audience (unless you blew them up and made giant ones - which might be kind of cool). I printed these on cardstock, opened up a paper clip and taped it to the back to make them stand. 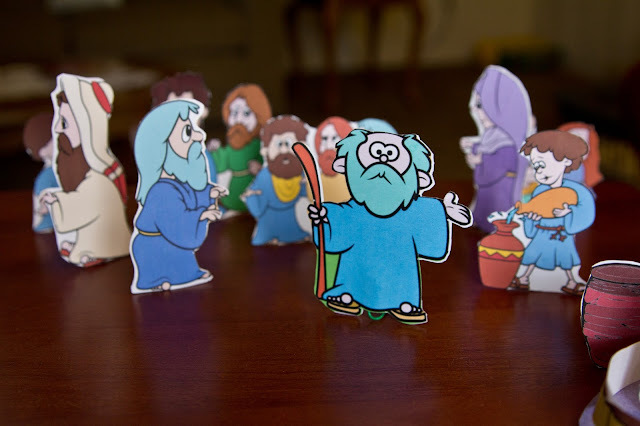 They are great for story telling because they are 3-D and you can move them around. It is a different medium to use. 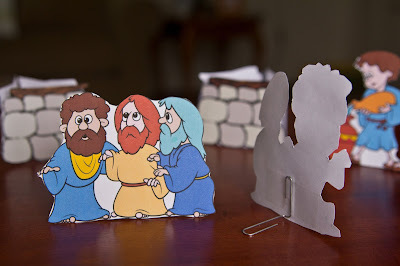 If you have younger children, these are great to let them re-tell the story with. Elijah and the prophets of Baal from Joan Eppehimer on Vimeo. Do we have idols today? An idol is a symbol of a diety used as an object of worship. Or another way to put it, is, "an object of passionate devotion." Anything that takes too much of our attention, anything that we become too attached to or devoted to can become an idol. Remember, you can't serve God and something else. Then we named things that might be "Baals" in our lives. What are some things that you might get too attached to? These are some of the answers the kids came up with. Since we are working through the Old Testament, this questions of idols will come up plenty more times. 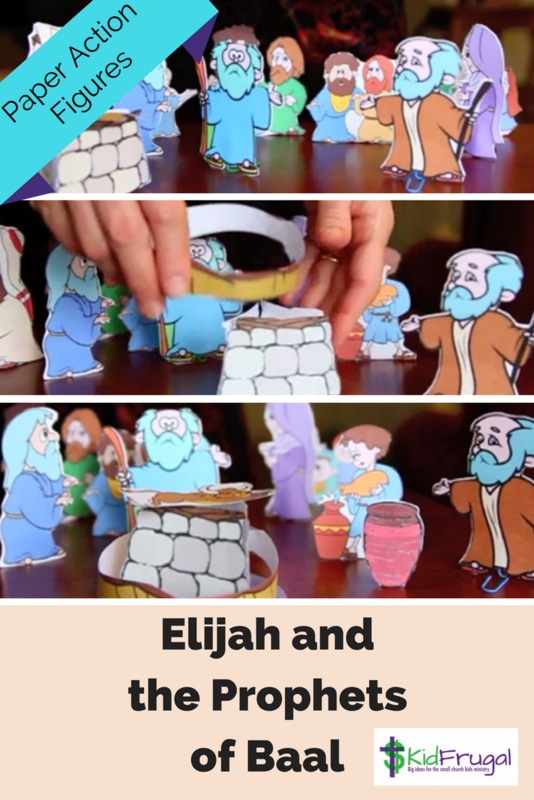 This lesson served to help the children become aware that things other than God can become too important to us and become like an idol.